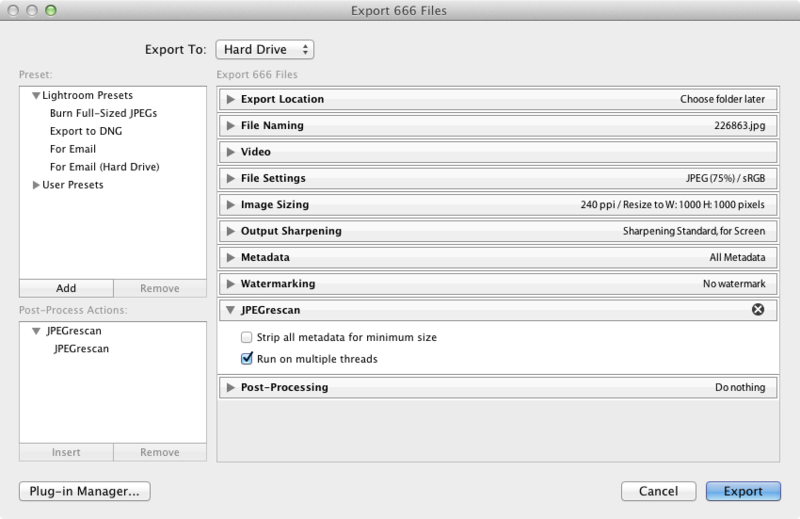 by using different lossless compression parameters on the exported file. but it can take several seconds per image. Lossless compression is based on jpegrescan script by Loren Merritt. The script attempts compression at different progressive scan types and leaves the best compression result in effect. 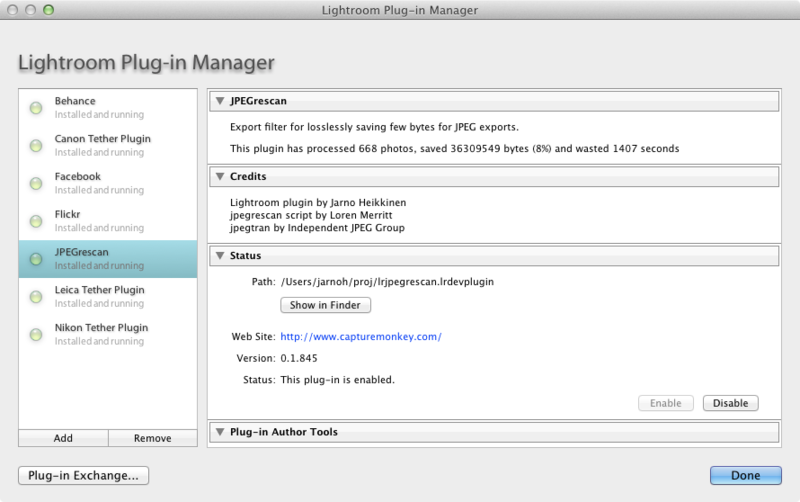 Typically, it compresses Lightroom’s JPEG exports by additional 8%. Simply install the plugin and insert the export filter in the Lightroom’s export dialog. You can also see some byte statistics in the plugin manager.